Eley: Duett for Violin and Cello, Op. 1, No. 2, in G Major Facsimile of ca. 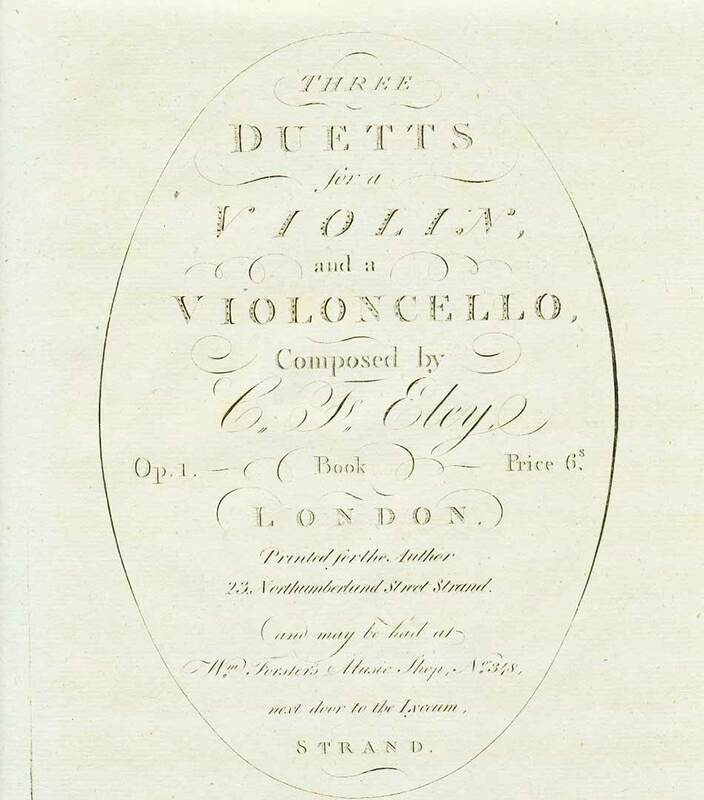 1811 edition (parts only) and modern performing editions, scores and parts..
C. F. Eley (1756-1832) was born in Hanover and active in London after 1785. The 3 Duetts for Violin and Cello Op. 1 were published in 1790. Duett No. 2 in G opens with a sonata form, has an Adagio slow movement and a Presto sonata form third movement.